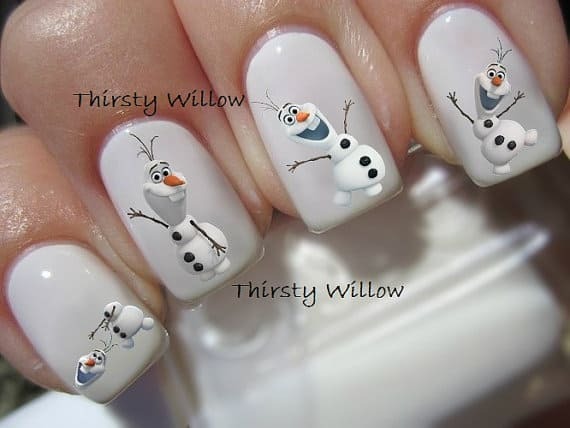 Here are our picks for Top 10 Disney Frozen Nail Art Ideas for you to try. 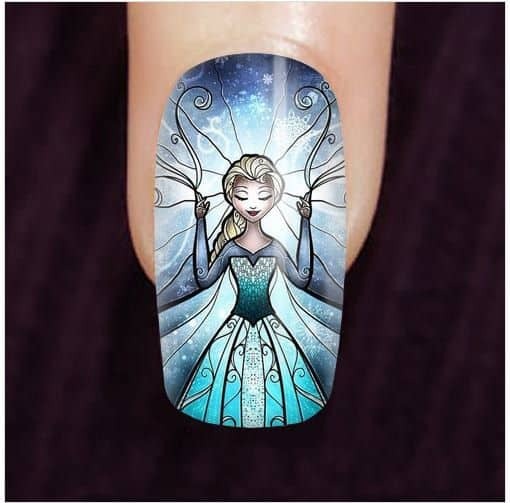 We know it’s summertime but it is always time to try some of these amazing Disney Frozen Nail Art designs. 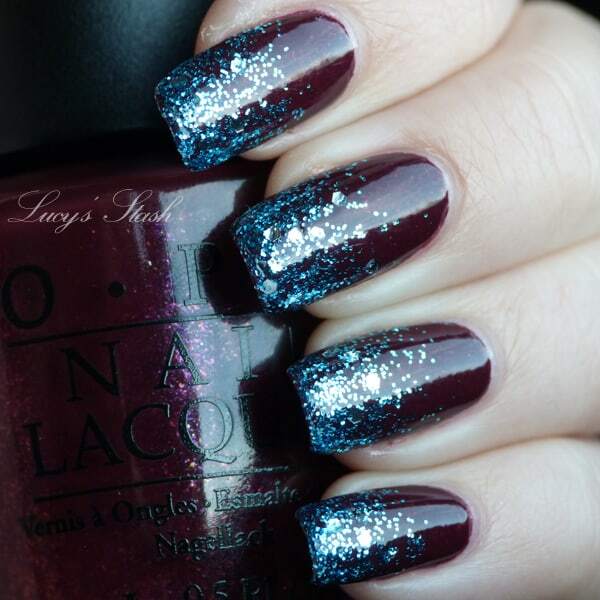 We really like this stunning design representing Queen Elsa in her Ice Castle. 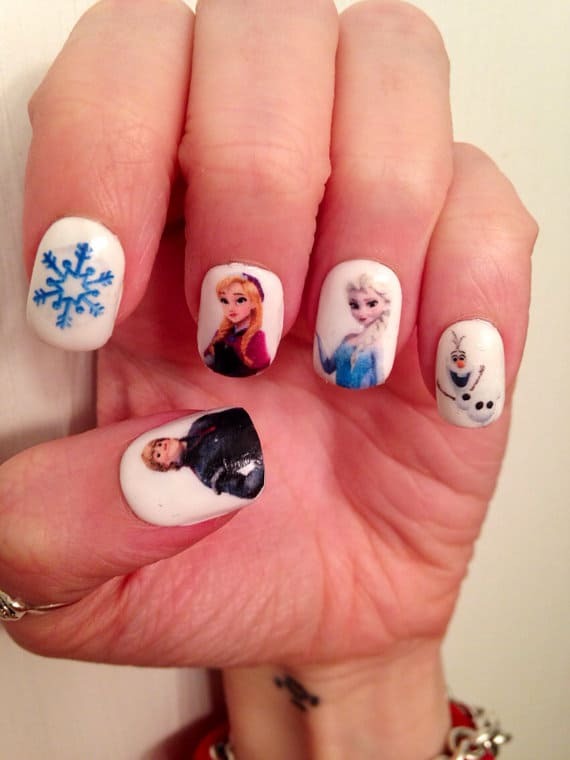 We love this Disney Frozen inspired nail art. Even though it doesn’t have any of the Frozen characters it is still instantly seen where the inspiration for this design comes from. 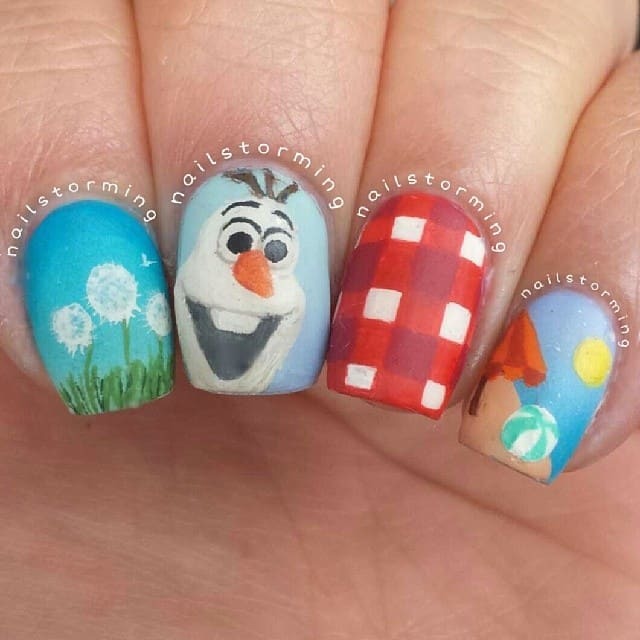 This Olaf design captures his summer mood perfectly! 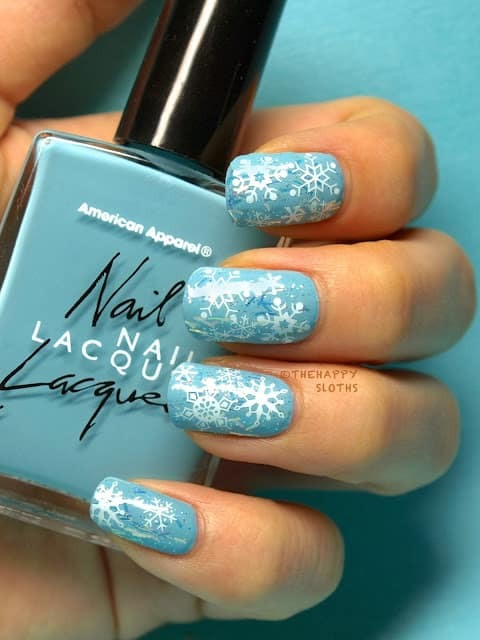 Yes we know this one is a very subtle Frozen effect but that is why we like it. Very stylish for a special event without being blatantly obvious that you listen to Let It Go ten times a day at full volume! 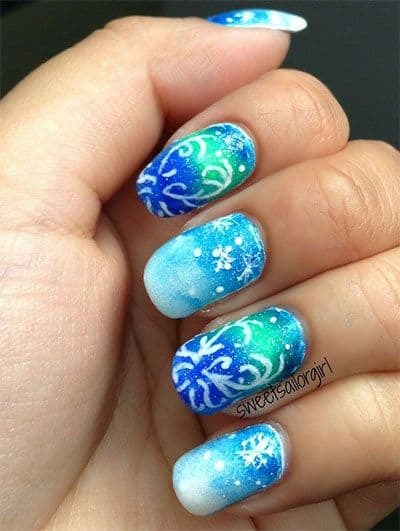 This winter snowflake nail art fits perfectly with the Disney Frozen theme and you can see full instructions on thehappysloth to recreate this look. This design is prefect if you want to combine a general Frozen look with design inspiration from Anna’s dress. 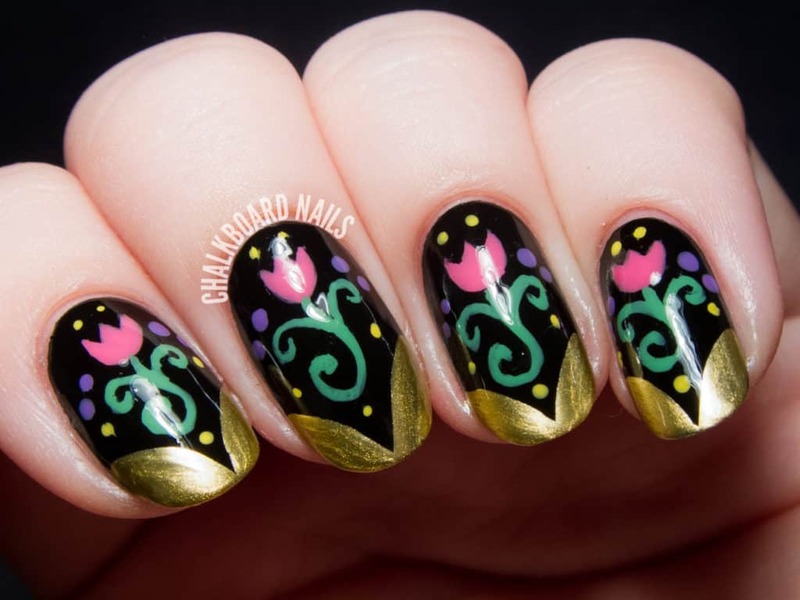 Which one is your favorite Disney Frozen Nail Art Idea?